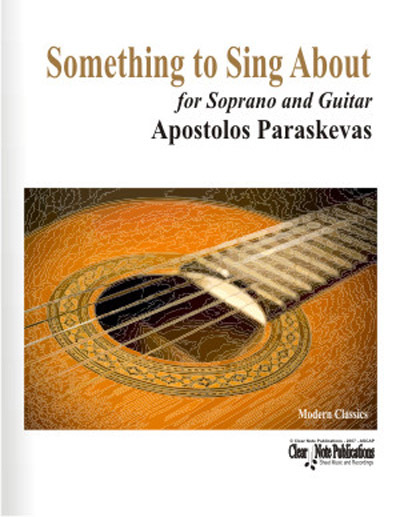 Presented here for the first time a collection of passionate songs without words by award-winning contemporary composer Apostolos Paraskevas. "These four songs for mezzo soprano and guitar can be performed all together or as individual works as well. 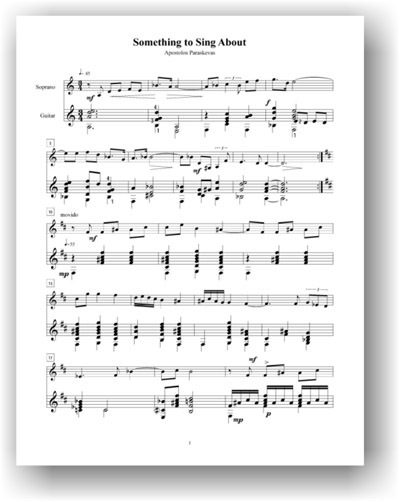 Their tonal style and simple writing makes them approachable and fun to sing and play. help the interpretation and give an extra hint concerning my thoughts when I was creating them. Even if tonal music is not my chosen compositional practice I do find many times the desire to express simple feelings or just music ideas through this system and wishing for an immediate acceptance by any music audience in general.